Archinfo is one of the supporters of an international conference organised on the architecture of Finnish cultural buildings. Two of Helsinki’s new architectural flagship buildings are modern hubs of cultural life. Amos Rex Art Museum was opened in August and Helsinki Central Library Oodi is nearing completion. The architecture of these two buildings is the topic of the ‘Architecture for culture in Finland’ conference held in Rome on October 16th. The aim of the event is to foster international cooperation in the field of architecture between Finland and Italy. Architect Asmo Jaaksi of JKMM Architects will illustrate the Amos Rex project as a dialogue between the past and present. 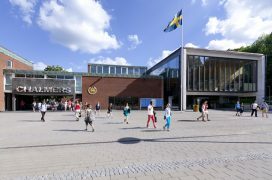 The building offers the citizens of Helsinki, in addition to a new museum of art, an uplifted urban space with a strong character and a newly opened modernistic cinema theatre. 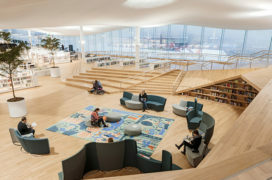 Architect Samuli Woolston of ALA Architects will present Helsinki Central Library Oodi, a library of the future, which will provide the capital city of Finland with a new urban interior space that is versatile and flexible, dedicated to learning, educational activities and reading. 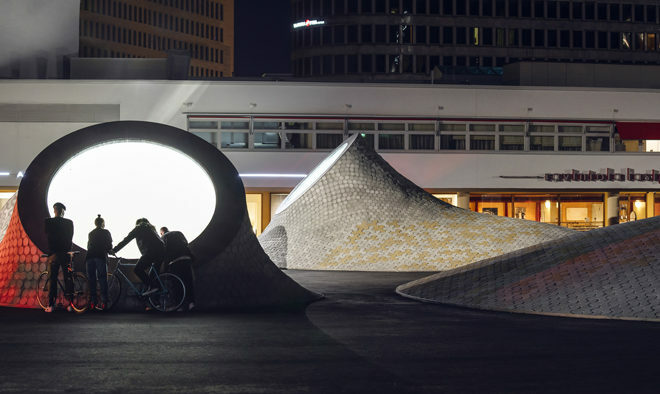 In her introduction, Deputy Mayor of Helsinki Anni Sinnemäki will focus on the importance of urban development, contemporary architecture and cultural buildings in the City of Helsinki’s strategy. The event will conclude with a round table and a final debate, followed by cocktails in the Finnish style. 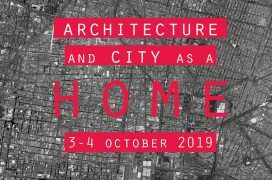 The conference is curated by architect Arianna Callocchia and promoted by Casa dell’Architettura Cultural Commission, the Chamber of Architects of Rome and Roma Capitale, in cooperation with the Embassy of Finland in Italy, City of Helsinki and Association of Finnish Architects’ Offices ATL. The event is organised with the support of Archinfo Finland, Finnish Association of Architects SAFA, Italian Council of Architects and the Faculty of Architecture at Sapienza University of Rome. Read more on Casa dell’Architettura’s website (in Italian).